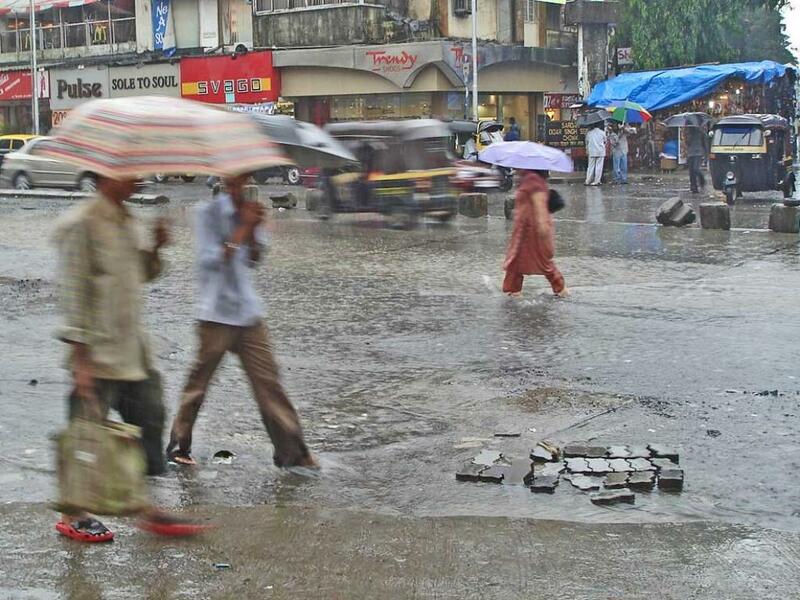 Mumbai and other parts of Maharashtra have to brace for very heavy rainfall in the coming weekend. According to the latest advisory by the India Meteorological Department, active to vigorous monsoon conditions will lead to very heavy rainfall along the west coast, especially between June 10 and 11. The IMD advised citizens to stay indoors, as much as possible, on these three days. He also added that between Saturday and Monday, heavy to very heavy rain is expected over Mumbai and the surrounding areas, and did not rule out the possibility of extremely heavy rainfall in isolated areas. 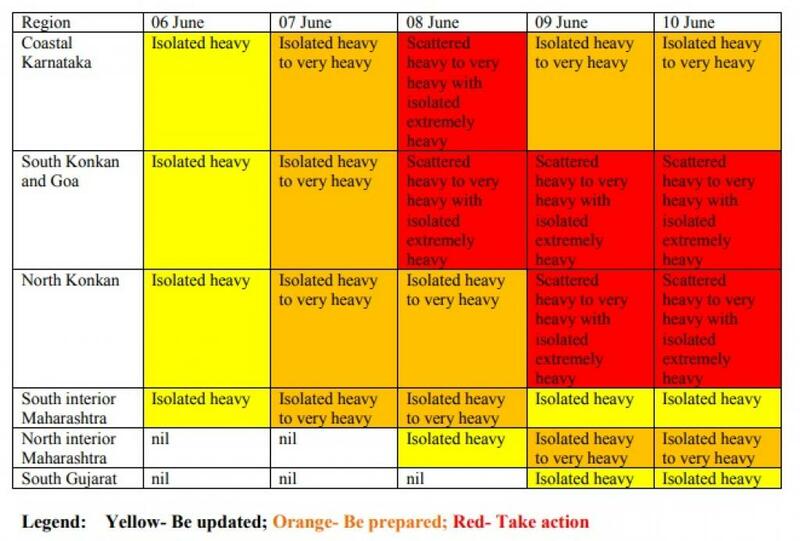 The IMD considers 35.6mm to 64.4mm of rainfall in 24 hours as rather heavy, 64.5mm to 124.4mm as heavy, 124.5mm to 244.4mm as very heavy and more than 244.5mm as extremely heavy. Going by IMD’s classification, the city is expected to receive 124.5mm – 244.4mm rain for three consecutive days. Now, this is somewhat alarming as some parts of Mumbai get inundated with even 50 mm of rainfall. While it is not unusual for Mumbai to receive such heavy rainfall, civic infrastructure and lack of preparedness has always been the problem. According to Mumbai Mayor Vishwanath Mahadeshwar, instead of adopting ‘60-20-20’ formula for desilting storm water drains (complete 60 per cent desilting operations before monsoon, 20 per cent during monsoon and the remaining 20 per cent post-monsoon), this time, the Brihanmumbai Municipal Corporation (BMC) has revised the formula to 70-15-15. Moreover, the flowing capacity of Mithi river—one of the main reasons for the floods in 2005—has been increased by three times after it was widened and cleaned. It has reportedly less floating garbage. Recently, the BMC has also decided to install flood sensors in five rivers and two lakes in the city: Dahisar, Poisar, Oshiwara, Vakola and Mithi rivers and Vihar and Powai lakes in Mumbai. The devices would help the authorities to immediately evacuate people living near rivers and lakes as soon as water levels start to rise. There is no information on when these sensors will be installed. When Down To Earth reached out to the Storm Water Department of BMC, concerned officials had gone for inspections. In the last week of May, the Maharashtra government installed sensors on colonial era and other old bridges across the state which might collapse after heavy rains and flooding. According to media reports, the BMC has identified 225 spots in Mumbai that may get flooded (74 in eastern suburbs, 88 in western suburbs and 63 in the island city). The BMC, so far, has taken necessary measures at 120 spots and 95 per cent of the total storm water drains, running up to 250 km, have been cleaned. While there has been some progress in terms of carrying out preparatory work, it is to be seen whether it is enough in the face of torrential and relentless rain.